Last week, the Leander Vandegrift Vipers defeated the Klein Collins Tigers 28-21 in overtime to win their first-ever UIL area round game as a 6A school. In their first two seasons in Class 6A, the Vipers had reached the area round of the UIL 6A Division II playoffs but had never advanced past that point. Prior to moving up to 6A, the Vipers made several deep playoff runs including a trip to the 5A Division 1 semifinals in 2014. 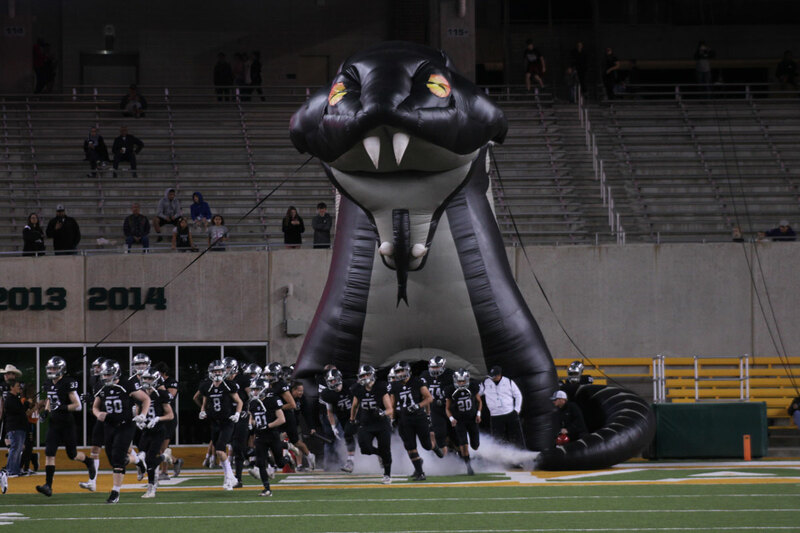 Entering Saturday’s game at McLane Stadium, the Vipers were 12-0 having won the District 13-6A title. 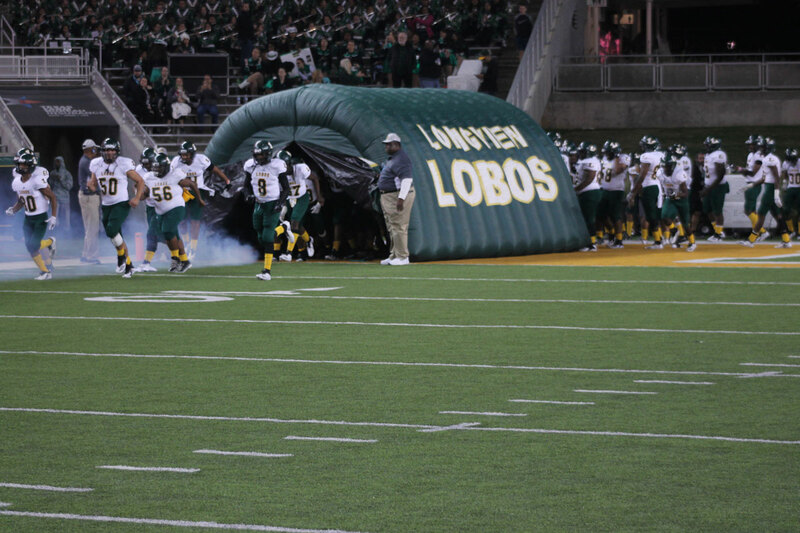 Facing them were the perennial power Longview Lobos. The Lobos also entered the game at 12-0 having won the District 11-6A crown. Despite a strong first-half performance for the Vipers, the Lobos proved to be too much for the Vipers. A strong second-half performance by the Lobos ultimately propelled them to a 56-28 victory. In the first half, the teams engaged in a back-and-forth affair. On the opening drive, quarterback Haynes King led Longview down the field capping off the drive with a two-yard touchdown keeper. The Vipers responded on their first possession with a heavy dose of running back Isaiah Smallwood, and Smallwood tied the game at 7-7 with a seven-yard touchdown run. After the Vipers recovered a muffed return on the ensuing kickoff, quarterback Dru Dawson connected with receiver Ryan Merrifield on a 25-yard touchdown pass to put the Vipers up 14-7. Longview responded with a touchdown of their own to tie the game on the next drive when running back Jessie Anderson scored on a seven-yard touchdown run. Following the Lobo touchdown, Isaiah Smallwood found the end zone again on a six-yard touchdown run putting the Vipers back on top 21-14. Once more, Longview tied the game up at 21-21 when Haynes King scored his second touchdown of the night on a ten-yard keeper. 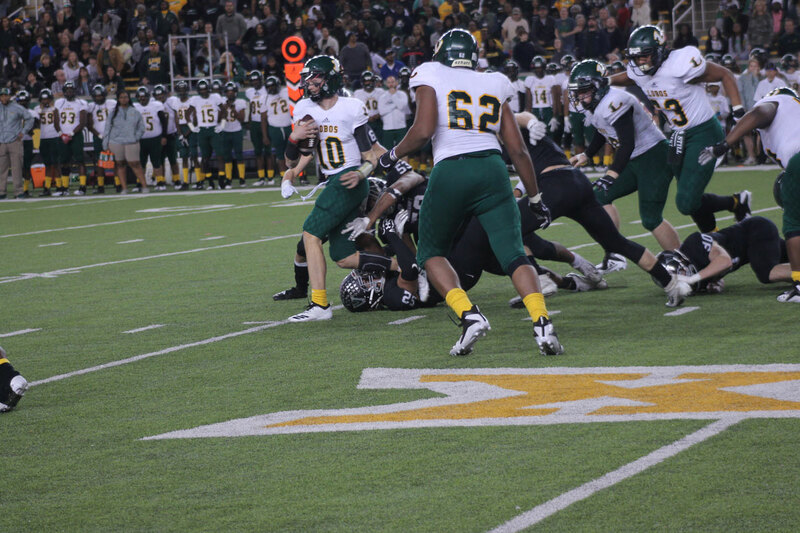 The Longview defense managed to hold the Vipers to a punt on the next drive, but the Vipers recovered a fumble on the exchange between King and Anderson to take over at the Lobo 47-yard line. Despite the turnover, the Lobo defense stepped up and forced the Vipers to turn the ball over on downs. 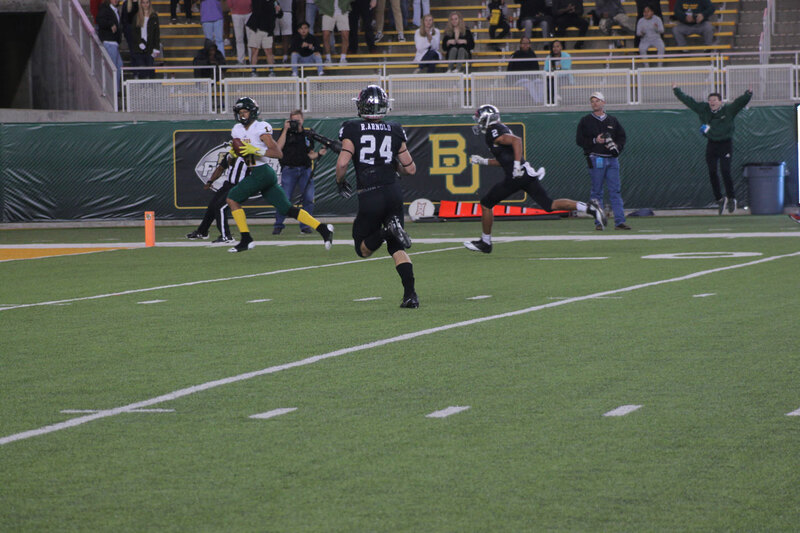 King then connected with Anderson on a five-yard touchdown pass just before halftime to give the Lobos the lead which they would never relinquish. After the Lobo defense forced the Vipers to punt to open the second half, King extended the Longview lead to 35-21 with a 48-yard touchdown pass to receiver Kaden Kearbey. Isaiah Smallwood scored his third touchdown of the night on a 16-yard run to narrow the deficit to 35-28, but that was as close as the Vipers would get. 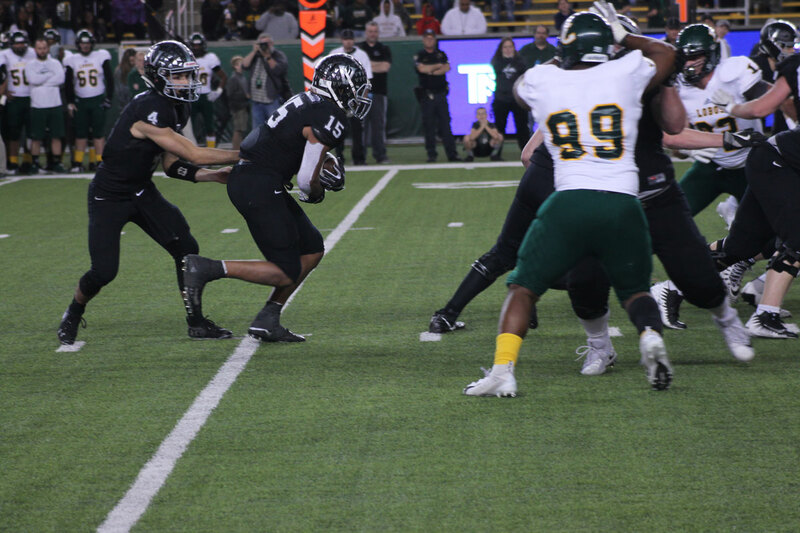 Vandegrift managed to force a Longview punt following the touchdown, but defensive back Jacob Johnson ended the Vipers’ drive with an interception. Running back Keilyn Williams then converted the turnover into points on an eight-yard touchdown catch. After the Longview defense forced another punt, King connected with receiver Kamden Perry on a 51-yard touchdown pass to put the Lobos up 49-28. The Lobos recovered a fumble by Smallwood on the ensuing drive, and Anderson salted the game away with a 16-yard touchdown run early in the fourth quarter.